The reason is that the MTH coupler failed after pulling 9 heavy metal passenger coaches around an O-72 curve. Naturally the scratch-built full metal tinplate coaches are much heavier than the plastic-mold Rivarossi/Lima coaches. The heavy weight prevents the coaches from derailment when doing rounds 8 hours uninterrupted and continuously in one regular public exposition day. The European engines are made of Rivarossi/Lima bodyshell and MTH underframe+motorization. So, I have learned from this mechanical failure and from now on I let my engines pull only 5 or max. 7 coaches. Very nice work! The VR cargo wagons are very slick. Out of curiosity, are you located in the States or Europe? It would be nice to see your layout at a show. Our location is in the United States of Europe. 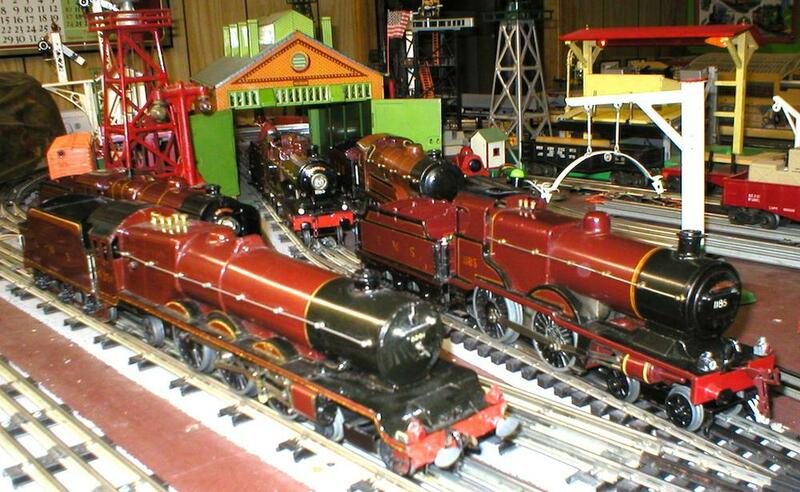 In our club we play primarily with American toy trains. 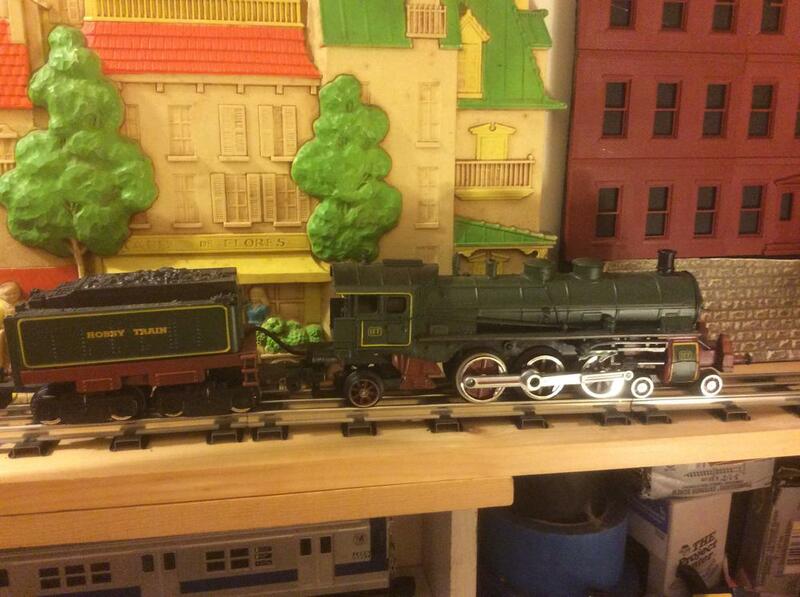 Additionally I have my own European O gauge collection with rather exotic rolling stock. 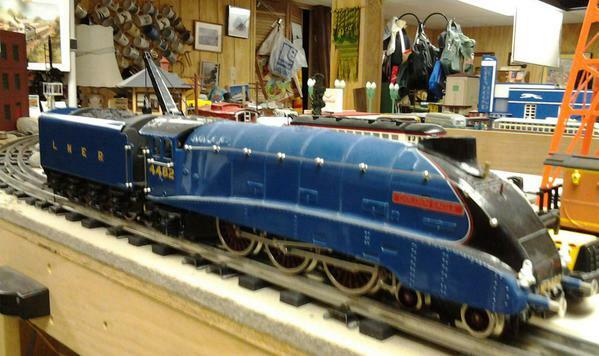 I do now,in G scale.My Dad left me some beautiful European trains made by LGB.I am getting ready for some outdoor train running that my Dad loved. 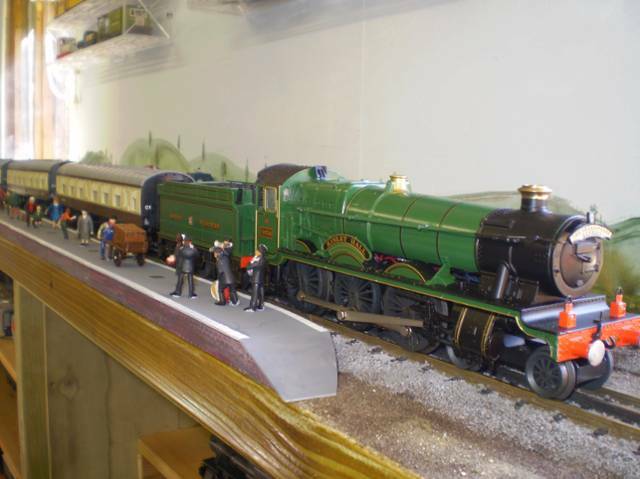 Member of the J&C Studios Archive - building a permanent archive of great O-Gauge content! Check out My Blog on the J&C Studios Archive. Does the Hogwarts Express count? I still have some LGB European-style narrow gauge locomotives (Austrian and one French). 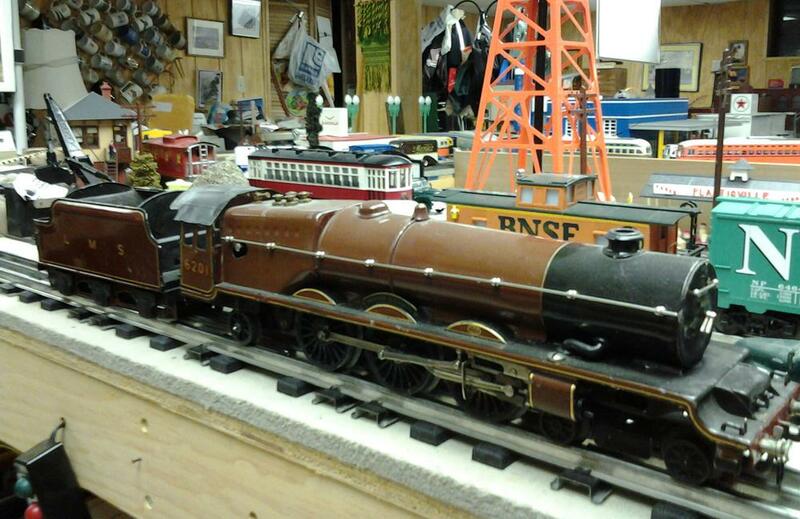 I do have a Lionel Hogwarts Express that I acquired piece by piece. 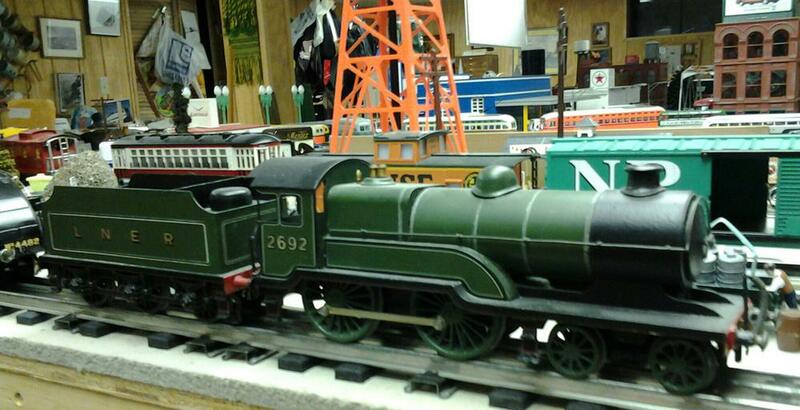 I want to add another GWR Hall class 4-6-0 and a couple of GWR-painted cars. I do wish that I'd been in O earlier and had the foresight to buy Lima's BR MK-1 coaches either in BR Maroon or in Great Western livery. I don't know how big the market is for European-style O in general and British-outline O in particular here in North America, but I think Lionel wouldn't have to worry so much about competition as they would in years gone by. 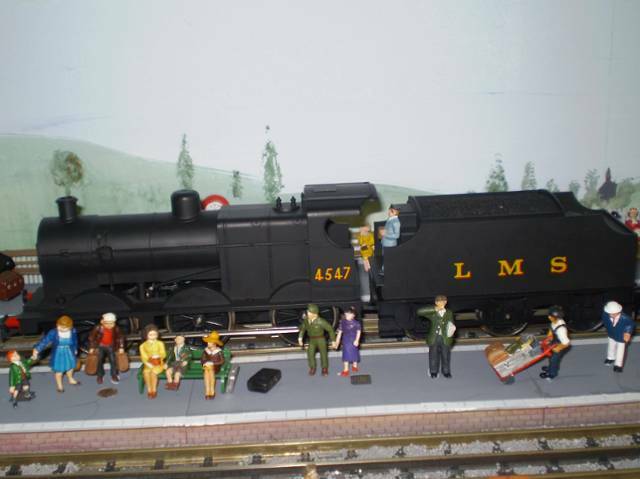 The long 2008 (and forwards) recession shut down a lot of British O scale production. If anybody here reads the German magazine MIBA, my two rail o scale layout, Georgenstadt, is on page 72 of the December 2014 issue. I have a collection of 1960's-70's vintage Marklin and Fleischmann HO. 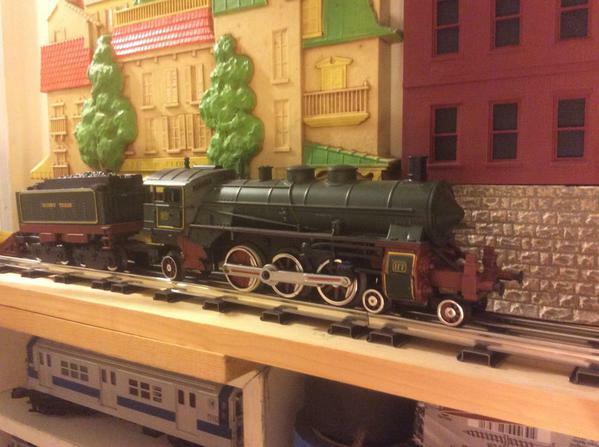 I also have several Marklin Modern Era I Gauge trains. 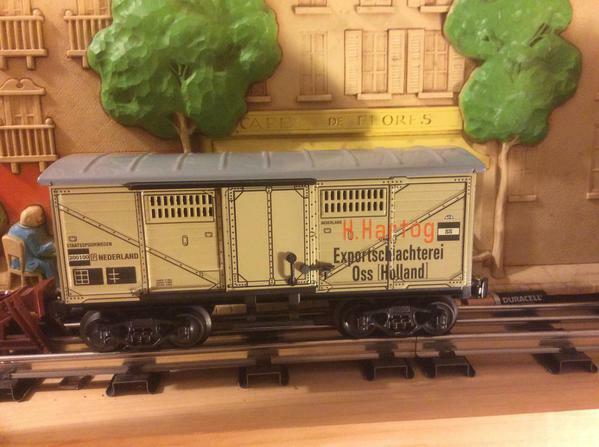 I have the Swiss Crocodile and MTH DB BR44 in O gauge. Yes, because it is a fictional train set of British style steam loco and few coaches. Do you display at German shows? I come to Germany usually every two years to visit my wife's family. We always go to Düsseldorf and Idar-Oberstein, and sometimes to Cuxhaven and Fürth, near Nürnberg. Hey John the ohm symbol at the top of the post screen has some additional symbols. Added this sweet NOS ETS car to my Euro collection today. In keeping with the rest of my Euro collection the couplers match nothing else I have, part of the fun. These are American style knuckles. Note it is spotted outside the Cafe de Flores. 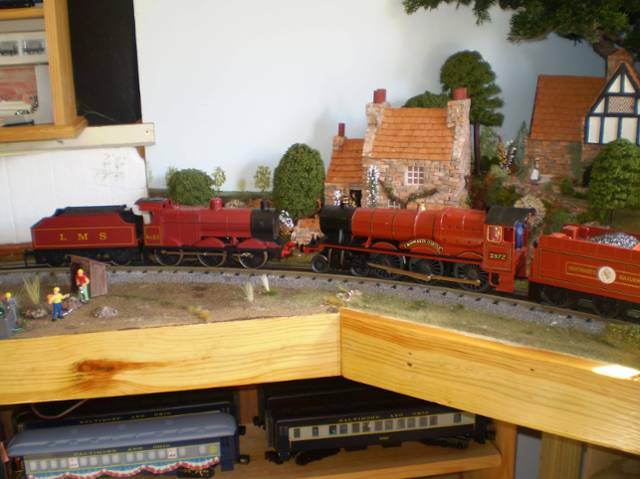 Maybe 8 years ago around Christmas time some drug stores used to have battery powered O scale sets that were made in gauge. The quality was usually very low. I got a SP GP9 led set and this neat DB S-3 pacific that has been mostly painted correctly but for the new road-name. It is a piece but I might try adding some postwar guts and some weight for fun. Do you display at German shows? Where is your club located? We have European Forum members and some of the US/Canadian members do travel to Europe. I'm sure some here on the Forum would like to see it. Right of Way etc. etc. etc. You can find my website at lewrail.jalbum.net. 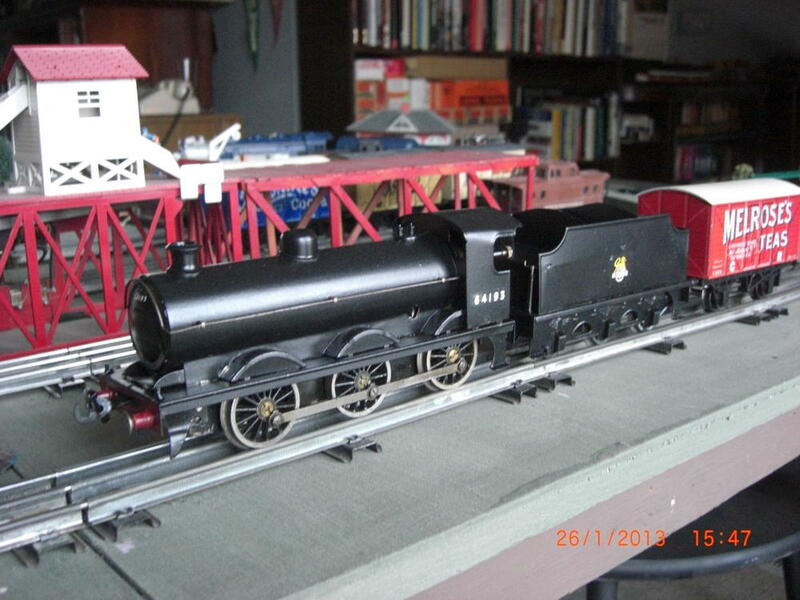 Attached are a couple of photos showing Bing Super Clockwork and Hornby. Our club is located at Porvoo in Finland (approx. 40 kilometers/30 minutes drive east of Helsinki on the motorway in direction to St.Petersburg). In this small province town someone can find an abandoned RR yard with station building and shed of historical heritage architecture. Myself I have two locations, Helsinki/Finland in the north (mostly when working) and Thessalonica/Greece in the south (occasionally when relaxing in my olive garden). 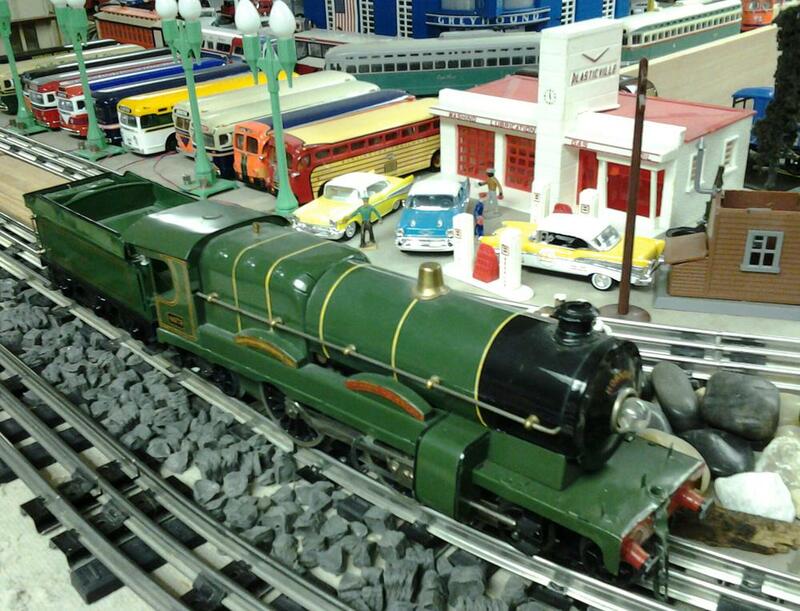 I intend also to participate at the pre-Xmas model railroad event on November 21st and 22nd in the central Rw. Station of Helsinki, because on this weekend will be officially announced the opening of the Santa Claus season, a special occasion for kids with original Santa riding on real museum steam engine (no fake Hogward). Ah, I should have guessed. It is good to see that this hobby is enjoyed in Finland too. Your club has a nice layout. The museum operation looks interesting too. BTW, where I live in Northern Michigan, are many descendants of Finnish immigrants. Some towns have Finnish names. My great-grandfather was from Hancock, MI, the home of Finlandia University, formerly known as Suomi College, and many Finns immigrated there to work in copper mining. There was a lot of interesting railroading there, some of it narrow gauge, much of it supporting the mining industry. Curiously, people of Finnish heritage in Upper Michigan are known as "Finlanders" rather than Finns. The version of Finnish spoken there is archaic, reflecting the lack of contact with the mother country since the wave of immigration in the 19th century. There is still a distinctive accent in the Central UP several generations later. I lived in a town with a large Finnish population and picked it up. Still have a bit of it yet. One of the narrow gauge locos still operates in the summer, at Lake Linden. Three others still exist at Hancock. One original mining railroad still operates, the Lake Superior & Ishpeming. Those are nice engines. I like the buildings in the background too, scratch-built or kits? Over generations skilled Finnish ex-patriats settled in industrial areas of North-America on both sides along the Canadian border, like mineral mines, wood mills, pulp industries, steel mills, etc., where branchline and narrow gauge railroad was involved. This is also one reason for the existence of our model RR club: to honor the Finns who helped building America's industry. John I believe they are scratch build, bought them on line ready made. Being a bit more like home, it was a natural fit climate wise for the people of the more northern European nations to settle in the north. Pines, Pike and its big brother the Muskie , similar game, and sandy soil for rye didn't hurt the Great Lakes chances of becoming home for many of them either. But mainly I think they came for lots of wood to heat the sauna with. 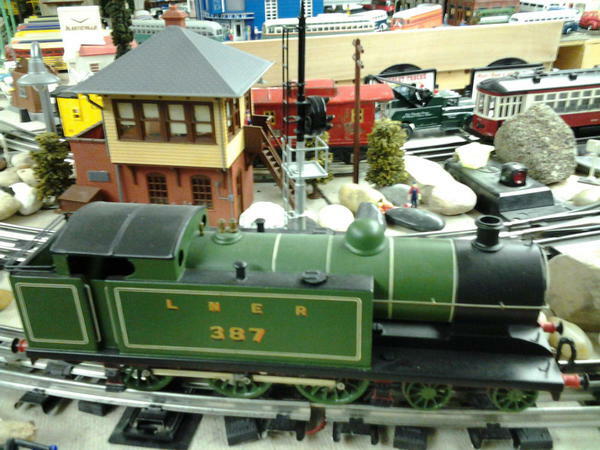 Hornby "Princess Elizabeth" and "Caerphilly Castle", Leeds 4-6-0 tank engine and 4-4-0, Acetrains A4 "Golden Eagle". P. Elizabeth, the Ace Mallard, a bunch of MTH PCC trolleys, and a Western Hobbycraft trolley to boot. Woops. I see it's the Golden Eagle not the Mallard. Did you get the full Golden Eagle passenger set? Here is another photo of my European madness. Hello, Lew; you won't remember this, but you generously assisted me in evaluating that PE when I bought it at York in October, 2001. Thanks again! The PCCs are by Corgi. I would but there is no ICE train in O gage. Lew, I got it as part of the Coronation Special set, which I bought through Weaver when they represented AceTrains. I have an HO GG_1 made in yugoslavia!! does that count as a european! Beautiful engine!!! You should include the photo in the body of the post, so everyone can see it easier. I see it. Its a close up. The engine is white. But I cant tell the make. Too close. Or is it blue grey? Darn this is worse than that blue/gold dress.